STANDARD LOCK OUT FROM £35! Tony’s Locksmiths is a leading 24 hour emergency locksmiths in Cardiff. We service a wide area from Cardiff city centre to the city's surrounding areas. As a local business passionate about serving our community at the best possible value, we offer a ‘no call out charge’ policy with a fast response time. If you're in need of a reliable and efficient locksmith Cardiff, look no further! With over 20 years of expertise in locks, our services are professionally completed and competitively priced by our fully qualified locksmith. Tony’s Locksmiths cover all types of security needs including domestic locks, standard locks, all kinds of key systems, panic bars, anti-snap locks and lock changes. 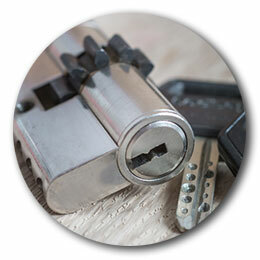 We aim to cover all of your locksmith needs, no matter how big or small. Are you locked out of your home or office? If you're locked out, we can help you get back in, in no time! At Tony’s Locksmiths, our many years of experience in the industry gives us an understanding that's second to none regarding what's required to assist countless customers in Cardiff and the surrounding areas who find themselves in the frustrating situation of having lost or misplaced their keys. We can certainly empathise with the massive inconvenience involved when you've found yourself locked out of your own house, flat, business premises, or even your car - and this gives us the extra motivation to help you out in these situations. We know there's few worse feelings than that, so it's extremely gratifying for us to see the anxious look on our customers' faces replaced with instant relief as we help them quickly regain entry to the premises. Whether it's through the front door or one of your other doors and windows, we have the skill and expertise to get inside in a way that won't cause damage to any part of your home. Often you may have access to a master key if working in a professional office space, but this may not be available at the time due to other unforeseen circumstances. Tony's Locksmiths can help with this as well, and we can even help with cutting a new master key if required. We're proud to support other local (and bigger) businesses in the Cardiff area in this way; we believe in building a good community spirit at the heart of our business and among our customers. We also have invaluable experience as a car locksmith, so getting into your vehicle to retrieve car keys is not a problem either (see 'auto locksmiths service' further on). Our overall swift response time means you don't have to waste precious hours of your day waiting for a solution. Getting locked out is often a case of simply having left your keys inside. If that’s the case, we strongly advise that, as a follow up to our regaining entry for you, you have duplicate keys made. Using the latest state-of-the-art key-cutting machines, our professional emergency locksmiths can have a new set of keys (exact duplicates) ready in no time at all! We recommend that you should then leave these with a close friend or family member who lives nearby. This way, you'll be able to gain entry if and when you find yourself in a similar position at some point in the future, without having to call us out again for the same reason - after all, we care about saving you time and money as well. Be aware that we strongly advise against leaving spare keys under doormats, plant pots or other ornaments around the front of your house. Remember that potential burglars may have the same idea, and this could be the first place they look. 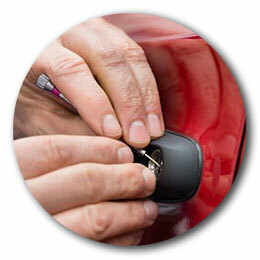 Tony's Locksmiths also offers an auto-locksmith service. We can get you into your vehicle if you've locked the keys inside, as well as repair key fobs, program remote keys and transponder keys, or simply cut a pair of brand new car keys for your vehicle if this is what you'd prefer. In some cases, the keys may have been lost, or worse; they may have been stolen. In that case, you should install new and highly-secure locks. We encourage every customer to take the issue of security very seriously. All of our Tony’s Locksmiths Cardiff based staff are subject to a security check themselves for your peace of mind. They have the training and expertise to offer you a wide range of advice on securing your premises with high quality locks at all entry points. We can also supply and fit all locks as required. 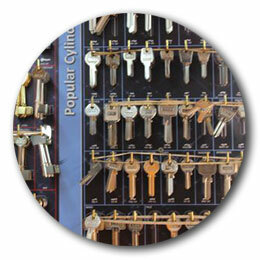 At Tony’s locksmiths, our long-term experience serving customers is matched only by our expertise and professionalism. 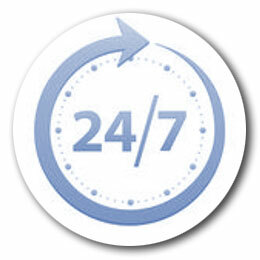 We are available 24 hours a day, 365 days a year (including bank holidays). Call us and we endeavour to be with you within 15 – 30 minutes wherever you are in the Cardiff area. As a committed local company, we're always aiming to offer cheaper rates for our customers. Whatever your locksmith needs, whether it’s gaining entry to your own home at midnight, key cutting that produces faultless duplicates, securing your home from outside threats (which may include installing new locks of the best quality) or highly sought-after professional advice, we're here to help. The services we offer are second to none; our prices are kept up to date and highly competitive, with no callout charges for you to worry about. At Tony’s Locksmiths, your satisfaction is regarded as the highest priority. We take pride on consistently achieving our goals in that respect. In addition, we promise to always keep your local needs at the forefront of our minds when it comes to our business ethics. There aren't many locksmiths in Cardiff left, exclusively serving the local community. With increasing competition from bigger companies every day, we greatly value the support we get from loyal customers and are always looking to expand our positive impact on Cardiff and the surrounding area. Support your local locksmith Cardiff by giving us a call regarding all of your lock-related needs today!